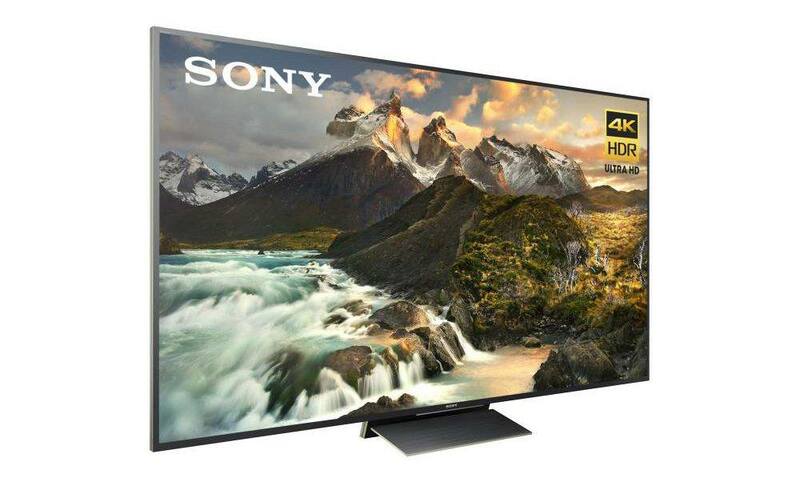 Sony has just launched its finest televisions ever. 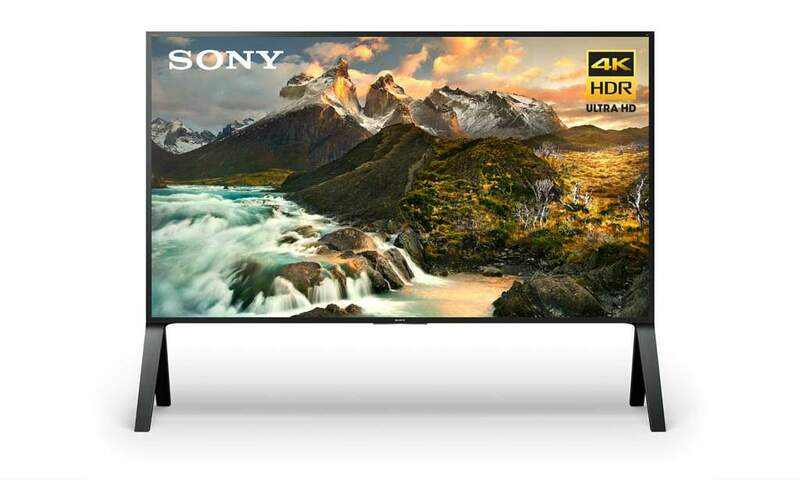 And according to Sony, these next generation technology displays will take your TV viewing experience to a whole new level, and deliver the ultimate in 4K HDR Ultra HD picture quality. 100″ XBR100Z9D, pricing and availability details to be announced later this year. So what is it that enables Sony’s new Z series TVs the ability to reproduce the deeper blacks, brighter peak highlights, and vibrant colors of the real world for the ultimate in 4K HDR images? It’s in the technology of course, stating with their Backlight Master Drive. The Backlight Master Drive is a precision backlight boosting technology, which expands brightness and contrast to reach the full combined potential of 4K HDR. To further enhance contrast, according to Sony, the Backlight Master Drive features a dense LED structure with a super accurate lighting algorithm, discrete lighting control, and a unique optical design with a calibrated beam LED, delivering unprecedented dynamic range with incredibly deep blacks and extraordinary bright highlights for scenes that look more realistic than ever before. The Z series TVs use full-array LED backlighting; but instead of using the typical rows of zone controlled LED’s, Sony uses a discrete LED control feature that allows the Backlight Master Drive to dim and boost each LED individually. With this latest local dimming algorithm, the Backlight Master Drive delivers total precision for exceptional contrast and rich deep black levels. 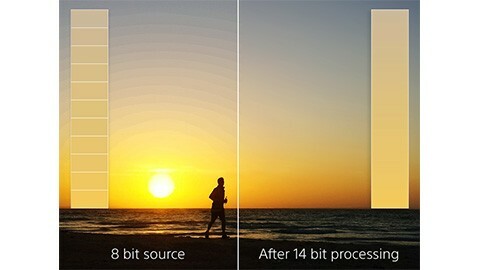 Object-based HDR remaster – analyzes images in each scene and corrects the color and contrast of each object individually, making colors and contrast appear more realistic. Dual database processing – cleans up the picture image to reduce on-screen noise, and upscales the picture resolution for improved clarity. Super Bit Mapping 4K HDR with 14-bit signal processing – creates a smooth natural picture without image banding. And in case you’re wondering, the Z series still incorporates Sony’s excellent X-tended Dynamic Range PRO, 4K X-Reality Pro and TRILUMINOS Display picture enhancing technologies. The overall design is virtually identical to Sony’s current XBR lineup (940D, 930D and 850D) featuring the slate stand and ultra-thin panel designs. The Google Android smart TV platform is also on board. The Z series TVs also feature Motionflow XR 1440 for blur reduction with a native 120Hz refresh rate. 3D capability is still available on these displays, and includes two pairs of active 3D glasses. As mentioned above, two of the three models of the XBR-Z9D series are available. However, they are not cheap, and will but a major dent in your wallet/purse. With all the new technology breakthroughs bringing increased contrast, more brightness, better color rendering and black levels that may rival OLED TVs, the Z9D series seems to be very promising and are certainly poised to deliver a jaw-dropping viewing experience. Wow , when are they coming to Vancouver Canada and where would I be able to get one! I checked Sony’s Canadian website and it does list the Z series models. Which means they should be available soon in Canada.